You will not find a better quality pair of Infrared UV glasses than this pair right here. I had to make a specific product page just for these different pairs of glasses. These sunglasses will make the markings on the card stand out. You can see the markings from all the way across a 12 x 12 room and the markings are clear as day! The sunglasses I offer have the red filter built in (manufactured) into the lenses in the pair of sunglasses. Some of our competitors use a red sticky film that applies over the lenses... over time, there is peeling, bubbling, and the visibility is more challenging (closer range). These are the top highest quality sunglasses on the market. I am proud to offer them at the lowest rate online! There isn't a better deal out there!!! We offer 3 styles of sunglasses. 1. The Aviator sunglasses are made with a great strong frame. The lenses themselves are created with the Infrared UV vision built right in. There isn't a sticker filter! The outside of the sunglasses are disguised with a normal mirror tint. Green, blue, glassy, etc. They look completely normal! 2. Reader style Sunglasses: These are not disguised at all and are meant to be used to just bust poker cheaters or used in magician card shows. They can also be used to create marked cards with our luminous ink kit. These are our cheapest sunglasses. 3. The Infrared UV Black traditional sunglasses: These look like regular black framed sunglasses. They are disguised as good as the Aviator style sunglasses and are plastic. These are one of our best sellers and these really go well with our marked cards. Markings are crystal clear! Any of our packages includes a deck of Bee brand marked cards. The markings are professionally made and guaranteed to last forever on the card. We also offer Bicycle - message us if you have a preference. This package includes the black traditional looking sunglasses (manufactured so the filter is built in the lens) with a deck of professionally marked deck of cards. (Bicycle or Bee -please specify if you have a preference). Cards are marked with a luminous ink printer and will last for 6+ months. Free shipping on all orders! This package deal comes with a highest end top quality pair of Aviator sunglasses and a deck of Bee brand marked cards. 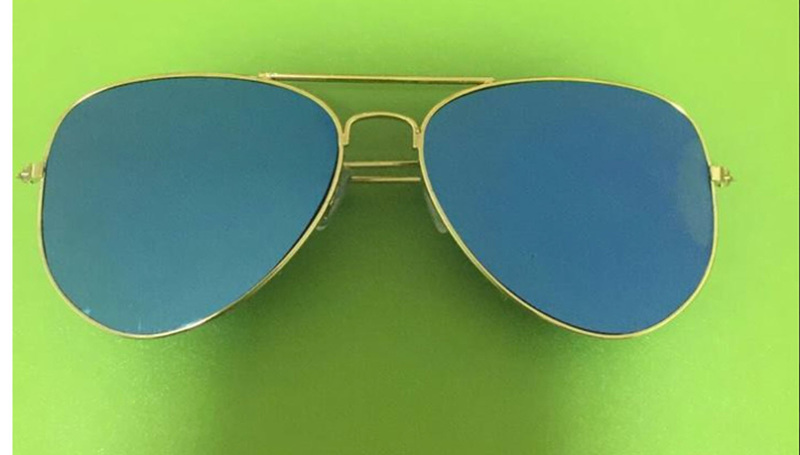 The Aviator sunglasses are designed with the built in UV filter already molded into the lens. There is no stickers, peeling, bubbling etc. These are high quality glasses audience cannot tell they are UV glasses. Free shipping! Package includes the Infrared luminous ink glasses and luminous ink kit. Frames exact to the picture. Filtered lenses will be more dark when the sunglasses are worn. Free shipping! These glasses have the UV Purple filter built into the lens. Buy extra decks of cards? Need extra decks of marked cards? NOTE: 30% off decks of Bicycle and Bee cards right now!! !